Collins Booksellers - Molecular Parasitology by Julia Walochnik & Michael Duchêne, 9783709114162. Buy this book online. In the past years, genome projects for numerous human parasites have been completed and now allow first in depth comparisons and evolutionary conclusions. The genomes of parasites reflect the coevolution with their host, metabolic capacities depending on their respective habitat in the host. Gut parasites usually have an anaerobic metabolism, while blood parasites have an aerobic metabolism, intracellular parasites escape the immune system, while extracellular parasites evade the immune system, usually by antigenic variation. Comprehensive genome data now being available allow us to address profound scientific questions, such as which traits enable the parasite to survive in the human host, which to cause disease and which can be used as drug targets. 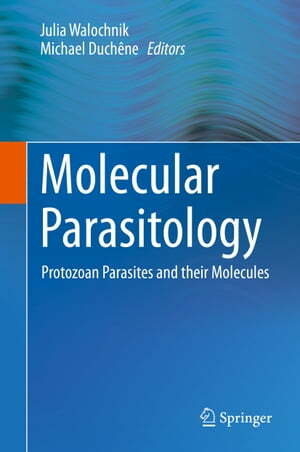 This book intends to give an overview of the state of knowledge on “the molecules” of protozoan parasites – on their genomes, proteomes, glycomes and lipidomes.